In addition, it is able to achieve 10% more efficiency compared to competing robot vacuums by using a zig zag cleaning mode and optimized cleaning route. The Ironpie is able to identify different areas that have not been cleaned yet, repositioning itself in order to clean other areas without having to go through redundancy. Fully capable of sensing obstacles as well, the Ironpie’s multi-sensory system will help keep your fine furniture safe from knocks, while you can also use it as a camera to check out what’s going on at home via the Ironpie app. 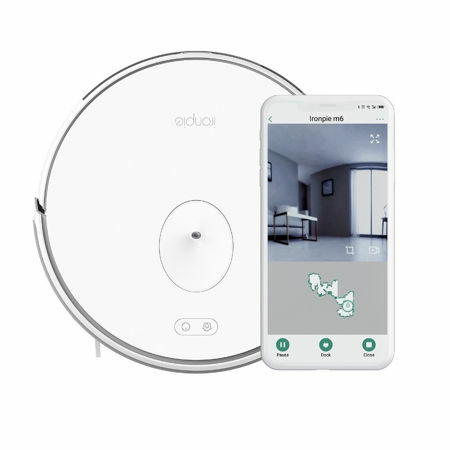 All of this for $299 apiece surely makes the Ironpie smart robot vacuum a decent gamble for the overworked homeowner who would like some respite from housework.